The stars are clearly right, because we’ve arrived at the answer! 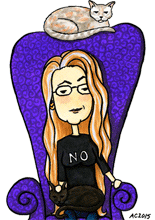 For #42 I tried another new thing this week, or really a very old thing in a new way. 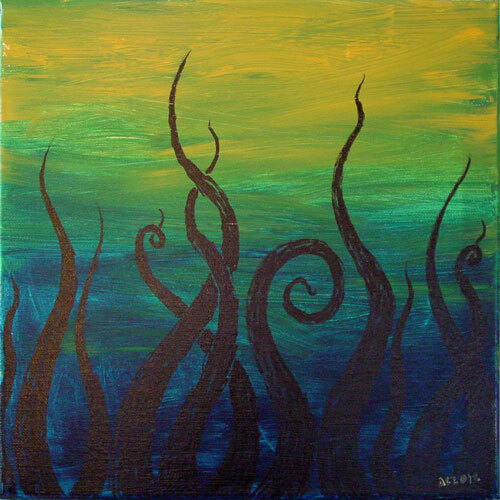 I broke out my acrylic paints for the background, and then drew tentacles on top with Sharpie oil paint marker. Since it’s on a gallery-wrapped canvas, the image slips around the edges, as you can see where the tentacles sneak off the left edge there. 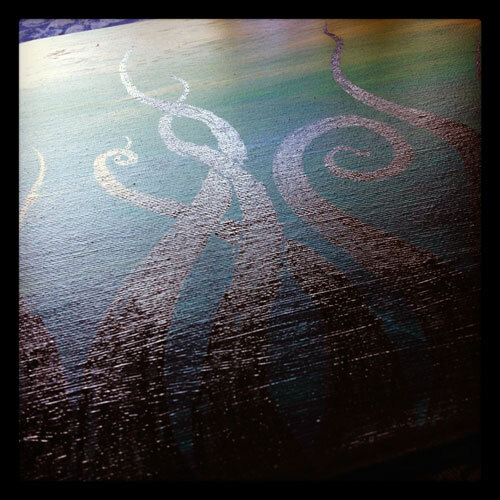 Tentacle Deeps 42, 12″x12″ acrylic paint and Sharpie oil paint marker on gallery-wrapped canvas. Above you can see the way the tentacles shine with a different sort of gloss than the background, at least when exposed to the sun and an Instagram filter.